In which BracketCat counts down the 34th day until the 2018 kickoff with a profile of running back Alex Barnes. Brandon Alex Barnes (b. Oct. 27, 1996) is a powerful running back who in 2016 had one of the best seasons at the position by a rookie in school history. He now has recorded one of the best two-year starts to a career in school history, becoming the second-fastest player in program history to 1,000 career yards (in just 152 attempts). Barnes enters the 2018 season ranked first in school history in career rushing yards per carry (6.24). He will look to take his game to another level in the second half of his career. After his redshirt season in 2015, Barnes saw action in 11 games at running back and on special teams in 2016. He totaled 442 rushing yards and six touchdowns on 56 carries, ranking second in school history in rushing yards and touchdowns by a freshman. Barnes tied for 10th nationally in rushing touchdowns among freshmen and averaged 7.89 yards per carry, which led the Big 12 and was first in school history among players with 50 or more attempts. He was the only player in the Big 12 with at least 50 attempts not to have a negative rush. The highlight of the season came when Barnes carded career highs in yards (129), carries (19) and rushing touchdowns (4) at Baylor, setting the K-State freshman single-game rushing touchdown record and ranking third in rushing yards. His touchdown total against the Bears also tied for third overall in school history. Barnes came back with 103 yards the next game against Kansas and became the first freshman in school history with consecutive 100-yard games. He had a career-long rush of 31 yards for a touchdown against the Jayhawks. Barnes went for 73 yards on eight carries against Florida Atlantic in his first action at running back, a game that featured a 22-yard rush on his first career attempt. He carded 72 yards on eight carries — including a 27-yarder — against Oklahoma State. Barnes picked up Big 12 All-Freshman honors from Athlon, while he was a second-team Academic All-Big 12 pick. He then entered 2017 on the Doak Walker Award watch list. Banres started all 13 games last year, rushing for 819 yards and seven touchdowns on 146 carries while catching five passes for 29 yards and throwing a touchdown pass. He became the first Wildcats running back to start at least 13 games in a season since Darren Sproles in 2003 and his 819 yards rank fourth in school history among sophomores, while he finished fifth in K-State history in single-season rushing yards per carry (5.61). Barnes became the second-fastest player in school history to 1,000 career yards in terms of carries at 152 — just five shy of Sproles (147) — and one of only four players in school history to hit 1,000 career rushing yards prior to the end of his sophomore year. He carded three 100-yard rushing games on the year, beginning with a 108-yard effort against Oklahoma, a game that featured a 75-yard touchdown on the second play of the game. It was the 10th-longest rush in school history and longest by a Wildcat since 2012. Barnes logged a career-high 23 carries at Kansas for 128 yards and two touchdowns, the latter two being season bests. The effort at Kansas was his second straight 100-yard rushing game, the second time in his two-year career he has had consecutive 100-yard games. Barnes also teamed with quarterback Alex Delton for two double 100-yard games, one against Oklahoma and the other against UCLA in the Cactus Bowl victory when he rushed for 117 yards with a 41-yard touchdown. 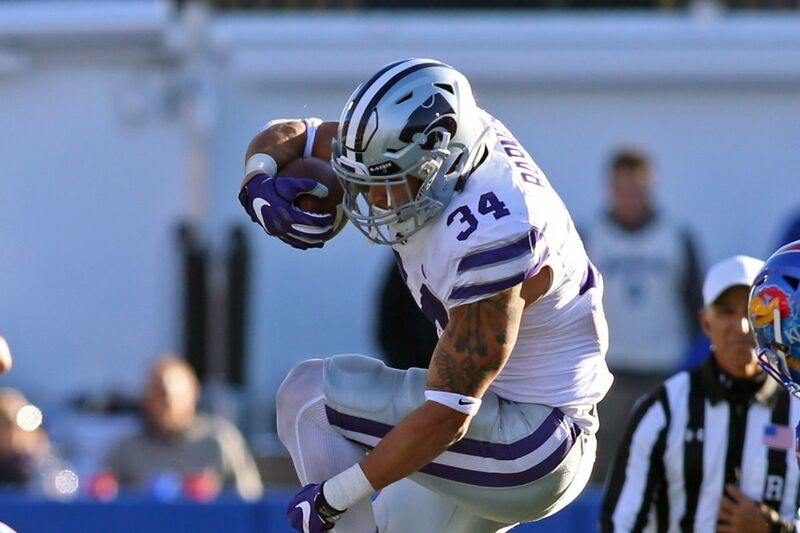 It was the first double 100-yard rushing game in K-State bowl history, while his 117 yards and 41-yard score each ranked fifth by a Wildcat in a bowl game. The combined 275 rushing yards between Barnes and Delton against UCLA was the most ever by a pair of underclassmen in one game. Barnes narrowly missed another 100-yard effort against Charlotte when he carded 99 yards and a touchdown. He threw a three-yard touchdown pass to Winston Dimel against Iowa State, the first pass attempt of his career, and hauled in a career-long 11-yard catch at Texas. 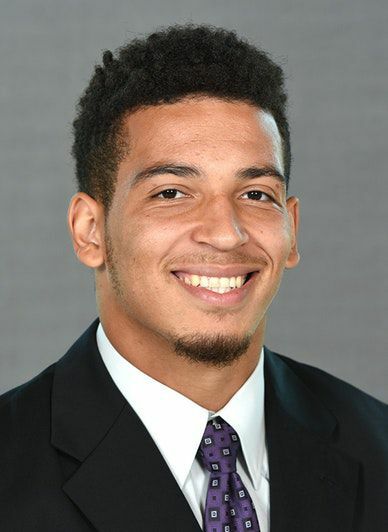 A big, young rusher who graduated high school a semester early, Barnes played under head coach Tom Nickelson at Pittsburg High School, where he led the Purple Dragons to a 9-2 record and the quarterfinals of the state championship during a stellar senior season. He totaled 4,835 rushing yards and 83 touchdowns during his career, including 2,361 yards and 38 touchdowns in 2014, breaking the Southeast Kansas League (SEK) single-season and career records for rushing yards and touchdowns. A two-time SEK Offensive Player of the Year honoree, Barnes also earned all-state honors as a junior, while he was a four-time first-team all-league and all-county performer. He also is involved in the Special Olympics and mentoring. Barnes was named one of the top 11 players in the state, as well as to the All-Class 5A teams by The Topeka Capital-Journal and The Wichita Eagle. He was one of the top 12 players in the state by the Kansas Football Coaches Association and named to the organization’s all-state Class 5A team. Barnes also had offers from Kansas and Minnesota.